Given that my pinterest obsession is bordering on severe AND I am a organiser to n-th degree; it’ll probably come as no surprise that I’ve been looking at invitation styles. So, when PaperThemes offered to send me some invitations to review, I couldn’t say no. Looking at the photo above, you’ll guess that I’m a massive typography fan. I love the unfussiness and the to-the-point of it. And there’s a bit of renegade map invitation thrown it. That’s my one concession to Chris, he loves a good map or two. 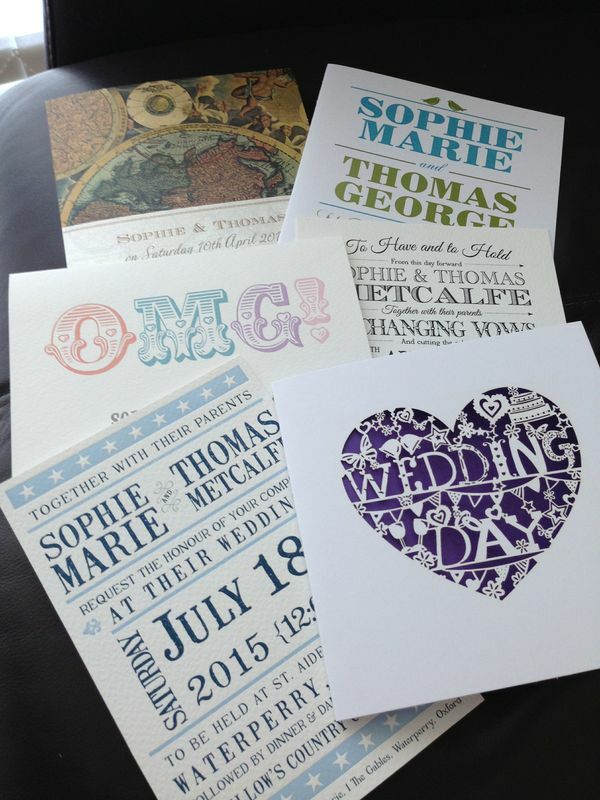 PaperThemes have got a massive ( and I mean, massive) selection of invitations, save-the-dates, thank yous, rsvp; all different prices and all different designs, you’re bound to find something you like and that fits your budget. I think my favourite is the OMG one. The lettering is simple, the text not overly flowerly and the card it’s printed on feels thick and luxurious – there’s nothing worse than flimsy card! What about you? Have you started looking at invitations yet? Do you like typography designs or you a fan of the plain and simple? This entry was posted in invitations, review, sponsored post, wedding and tagged invitations, me, OMG, sponsored, typography, Weddings on June 7, 2013 by louiselough. Given that we’re saving for our wedding, some things have got to give; those things include frivolous purchases like another pair of shoes I don’t need but we’re also trying to cut down on eating out/take aways/nights out – which is mega hard especially as we live in town! I’m trying to keep myself occupied and I find myself taking on more and more DIY projects in the flat. The flat, as I’ve said, is a blank whitewashed canvas and I’m being increasingly drawn to colourful flashes here and there. 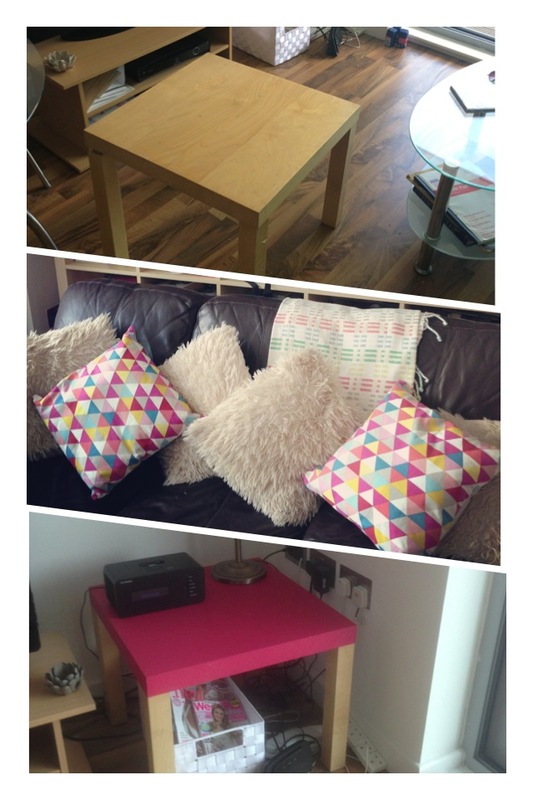 My next DIY was influenced by a throw that I was bought by some good friends for my last birthday and I thought I’d take some of the brightness of the colours and spruce up an old IKEA lack table that I was given by my mum! You know by now that painting is my preferred DIY of choice, I mean; it’s cheap and quick – what else do you need? So I popped to Wilkos ready to buy some bright, in-your-face paint. My luck was in and 3 Dulux sample pots were on offer for £1. That’s right, a whole £. I went all out and chose Raspberry Bellini; I don’t do things by half. I didn’t want to paint the whole table, I’m brave but not that brave so I decided to just paint the table-top. 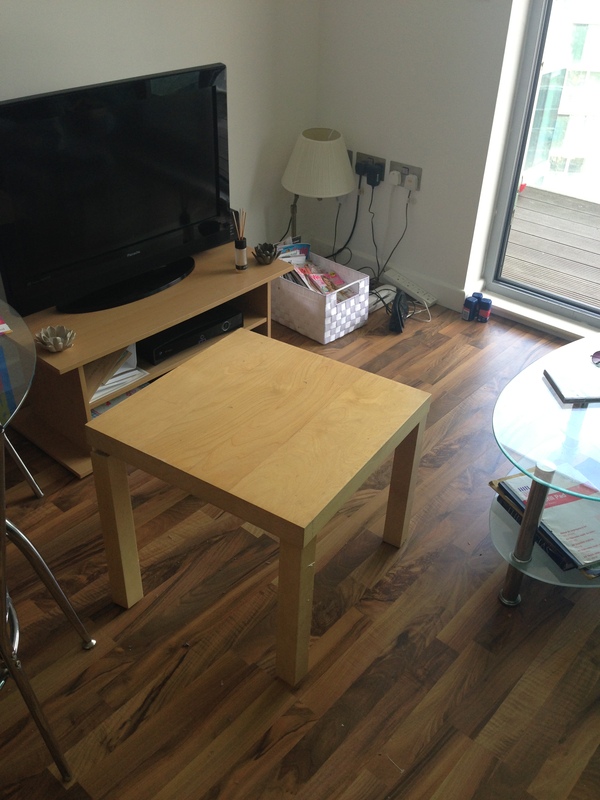 Made even easier by the unscrewable legs of the table. Early one Saturday, I headed armed with old newspapers and a brush and painted the table top – it took me about 30 minutes, not too shabby. I left to dry for a few hours and then painted a second coat. It didn’t look half bad. How great are the cushions? £3.25 and they go perfectly with my new(look) table. Good show Wilkos. I’ve got a few more home DIYs coming up, so be warned! This entry was posted in art, Crafty, flat, me, sheffield and tagged Craft, crafts, deco, DIY, flat, home, inspiration, paint, style on June 5, 2013 by louiselough. So, given that I’d known about our enagagement for 5 weeks before we’d announced it, safe to say that I’d been stealth planning for the majority of that time. Hidden boards on Pinterest, hidden favourites in my browser; though I did refrain from buying any wedding magazines and when we announced our wedding, we already had a venue viewing booked a couple of days later. Choosing a venue for us wasn’t that difficult, we knew we wanted to get married in Sheffield, although I’m from Liverpool I haven’t lived there permanently for 14 years and Sheffield is our home together. We also knew that we didn’t to get married in a church, while churches are striking venues for a wedding – the stained glass, the pews, just the whole structure of them! neither of us are particularly religious so, to us, it seemed slightly hypocritical to make use of the facilities to have pretty photos. And the last one, I knew I definitely didn’t want to get married in a faceless hotel with chair covers were forced upon you. So, armed with the knowledge of what we didn’t want, we started looking at the list of registered premises in Sheffield. And to be honest, there aren’t many. So, when we saw Kelham Island Museum did weddings our interest was piqued. 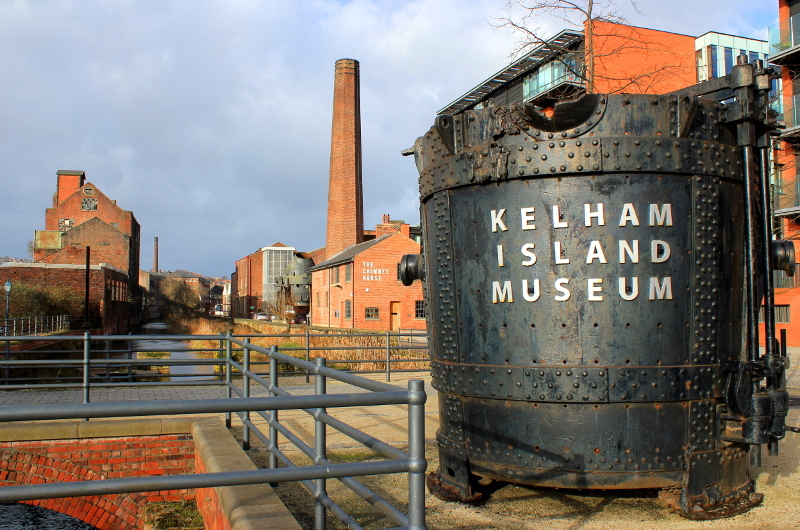 The museum is about 5 minutes away from our flat, we love Kelham Island and all it’s real ale haunts, we’re quite partial to a museum or two and most important of all, Sheffield is really important to us. Neither of us had ever visited the Museum before and I could tell that all Chris wanted to do was to start reading the information signs but no time for that this time around. His eyes lit up at some of the rooms and I loved that the venue was something different and that essentially, we could do what we wanted, the planning of the wedding reception was our oyster – and best of all, no chair covers required. So, we did the unthinkable. We booked the first venue we looked at. But you know, we just knew. So, 3pm, 9th August 2014 – you know where we’ll be. This entry was posted in sheffield, wedding and tagged date, home, kelham island, museum, planning, save, Sheffield, Sheffo, the, us, Weddings on May 29, 2013 by louiselough. been to the McKee Exhibition, The Joy of Sheff, at The Blue Shed. Pete Mckee is a bit of a legend ’round Sheffield and this, was his last exhibition about Sheffield. It was a one-day only event and I dragged Chris there with his hangover. It was definitely worth it though, we spotted the landlord (Tom from Fagans) of one of our favourite pubs in Pete’s short film, and bought a couple of limited edition prints, which may or may not feature in our wedding! saw Matthew Bourne’s Sleeping Beauty at the Lyceum. I was a complete ballet n00b so had been anticipating this theatre trip with some trepidation but what can I say, I’m a convert. I was really swept up with the story, the music and the dancing. And in awe of the dancers; what poise and grace; unfortunately something I’ll never emulate! So, quite a busy, cultural week and this weekend was spent not doing much, bar a few purchases for the flat and a quick crafty makeover for our living room – watch this space! 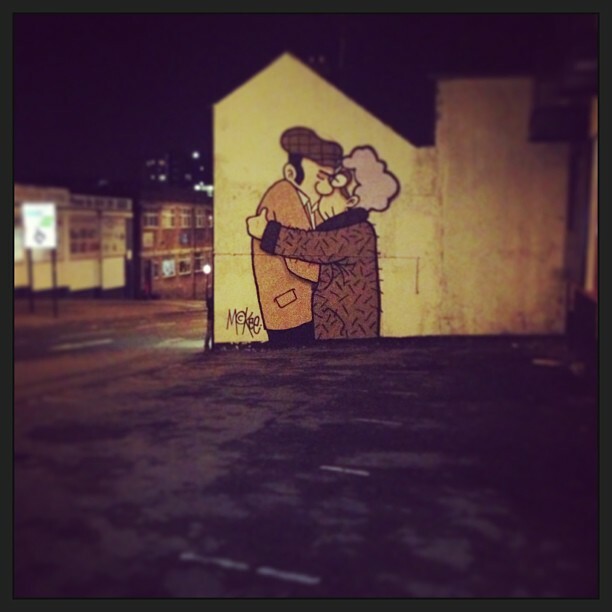 This entry was posted in art, culture, me, sheffield and tagged art, artists, fagans, me, petemckee, pub, Sheffo, theatre on May 26, 2013 by louiselough. I’m beginning to like Pinterest just as much as I like Instagram. That may be because it’s almost an integral part of wedding planning these days and I am using it for that, well not planning, more like pinning pictures I like onto a vaguely themed board. The theme being weddings. And pretty pictures. But not only is it good for wedding inspo; where I else could I find a whole host of links to moneysaving and house cleaning? I particularly use my pinterest for pinning pictures of men I fancy, men with beards ( generally linked), bookshelves, clothes I’ve bought, crafty stuff I’ll ( probably never) make and women I would like to look like…and I love following other people, so add away! How’s about you, do you use pinterest? And what do you use it for? This entry was posted in clothes, Crafty, fashion, instagram, me, pinterest, wedding and tagged follow, me, social media on May 16, 2013 by louiselough. 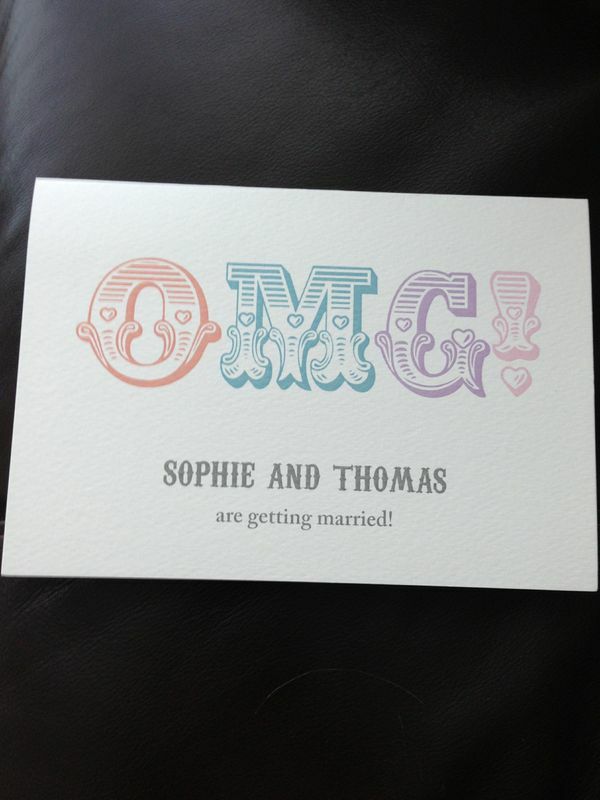 So, it’s exciting this getting married business before I start babblering on about colours, invites and dresses, I suppose you’re all dying to hear about the proposal? Proposals are exciting aren’t they? Usually romantic, heartfelt and all that. I’ll give you a clue here, mine wasn’t, but in all honesty if it had been it wouldn’t have been Chris. The biggest secret is that I had been proposed to, 6 weeks before we announced it; and I didn’t tell a soul. How I managed it I don’t know! We wanted a ring before telling people and we got mine handmade so opted to wait a bit. We were complete novices though and thought we’d get a ring the same day. How foolish we were. So anyway, the proposal…. It was Friday, Chris and I had been for a meal at Strada, it was threatening to snow and slushy and wet so we decided to go back home and have a few drinks there. We settled down on the sofa and Chris was sorting the G&Ts out. ( He makes a mean one if you’re interested and ever down our way!) And coming back to the lounge, he muttered the immortal words; ‘shall we get you a ring then?’. I, obviously, was a bit blase at this point and said ‘well, yes one day’. He looked suitably miffed at this stage, where were the tears? the quickly shouted ‘YES!’ So, I said ‘Do you mean it?’ and then he said ‘of course I do’. And then we got emotional. And then I started looking at engagement rings online. I’d kind of decided that I didn’t want a traditional ring, I didn’t think I was fussed by diamonds, no solitaires, no clusters so when we went into the snowy streets the next day on Sheffield I had no expections. Well, apart from the one that the jewellers would be open, but nope, all the jewellers I wanted to look in were closed. And I will admit, I may have stamped my foot. I just wanted to try a ring on, dammit! We decided to steathly book a day off work the next week, I used the excuse of waiting in for a workman while Chris used me. I had a face on with him apparently. Nice work there Howarth. We ventured to Chesterfield where we experienced less than perfect customer service. ( I may have stamped my foot again) But headed back to Sheffield, where we lunched and gained some perspective on the whole matter. We looked around and I got to try some diamonds on and boy did my feelings about them change! Yes, I wanted sparkles! I also thought I’d probably get white gold but after trying a few rings on I decided that yellow gold was the one for me. After at one point having about 5 rings on one finger, we begun to get an idea of what suited me. We did want the ring to be extra special so we went to Michael Spencer in Orchard Square to see if he could make me the design of ring that I wanted and of course he could, and 5 weeks later we collected the ring. I like the idea of having something made for us, designed by us by someone working the city we live in, Sheffield plays such a huge part in our lives that we really want to keep the City Centre going and keep out of Meadowhall. We’re going back to Michael to get our wedding rings made and I’d really recommend him to anyone. He also has a selection of second hand and already-made jewellery so I will be checking it out for gifts in the future. This entry was posted in wedding and tagged all about me, celebration, chris, engagement, me, Weddings on May 14, 2013 by louiselough. Go on; you know you want to…. This entry was posted in Uncategorized on May 12, 2013 by louiselough.